The Women’s Health Service operates across multiple hospitals, including Wellington Regional and Hutt Valley Hospitals which means that you may rotate to these sites during your time. If you are successful in gaining a position, the service will do their best to accommodate all preferences you have made. The multidisciplinary team in Wellington Regional Hospital's Women's Health Service is dedicated to ensuring excellence in Obstetric and Gynaecological care. The service provides an integrated mix of inpatient/outpatient/day patient and domiciliary services. Services are delivered in Wellington and Kenepuru Hospitals, Kapiti Health Centre, outreach clinics and domiciliary Midwifery services. Ambulatory services include a comprehensive diagnostic and therapeutic ultrasound service to support their tertiary maternal fetal medicine service, Gynaecologic oncology, Women's Health Acute assessment service and a wide range of outpatient Obstetric and Gynaecological services. There is a regional counselling and termination of pregnancy service. Serving a population of 139,000 Hutt supports 2,200 deliveries and performs more than 500 elective gynaecological procedures per annum. Hutt Hospital lies four kilometres from the northern shores of the beautiful Wellington Harbour; just 15 minutes' drive from the centre of our nation's vibrant and exciting capital city. You'll love working with us. We have a great team, a culture that values and involves people and a reputation for our relationships with our community and our willingness to take the initiative. 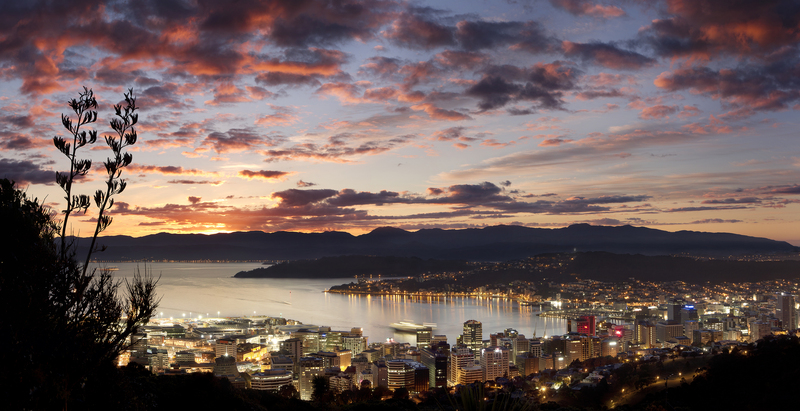 Wellington (population 350,000) is the political and cultural centre of New Zealand, offering the luxury of living in a small city with big city advantages, with a magnificent harbour framed by hills. There’s a very vibrant and cosmopolitan vibe to the city, with a huge array of cultural events, galleries, cafes and restaurants. Housing is affordable and of a high quality with a range of lifestyle options, whether you want to live in a city apartment, beach house, townhouse or country property and nearly every inhabitant lives within 3km of the coast. The international airport makes connections to the other parts of the world and elsewhere within New Zealand very easy. You can also catch the ferry from Wellington and drive down through the South Island, which is very popular with locals and tourists. Beyond the city and its beautiful harbour you have a wild and rugged coastline, mountains, ski fields, wineries and historical towns all within easy reach making this a perfect lifestyle destination.